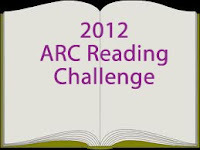 I didn't get last year's completed.... and I read a lot of new books, just not as many ARC's. I'm going with Bronze level, which is 12 books. If I read more I can up the level.